We have developed this audio CD specifically for the amateur retriever trainer. When training in small groups, it is difficult to simulate a trial atmosphere. With this CD, you now have real sounds of a trial at your fingertips. Whether you run hunt tests, field trials or just hunt your dogs, this CD will acclimate your dog to the sounds they will encounter during competition and hunting. 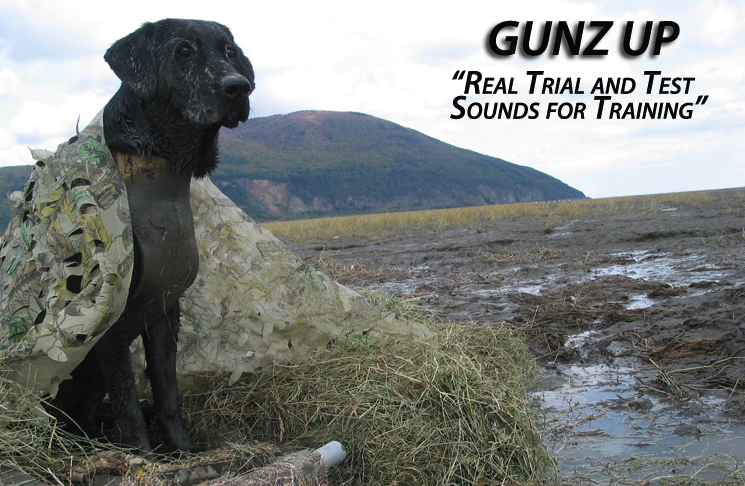 ”Barbara and I play "Gunz UP" in our truck CD player so the dogs can hear the real sounds of a trial before and during training sessions. We also put a CD player near the holding blind or running line so dogs hear the sounds during training tests. We have noticed a marked improvement in our dog's trial behavior since we started using this training tool. Enjoy "Gunz Up" and good training to you!